If you’ve Marie Kondo-ed your upstairs storage closet, you might decide your negatives aren’t “sparking joy” and it’s time to dump them. It seems like everyone is crazy for Kondo-mania. Marie Kondo is the guru of the book The Life-Changing Magic of Tidying Up and now Netflix reality show “Tidying Up with Marie Kondo.” Her process of sorting through your stuff to lighten your load in life is so widespread it has turned into a verb: Kondo-ing. The last step in her method of decluttering is to tackle sentimental items, which would include photos and, presumably, negatives. Back when people used film to takes pictures, prints came back from the processor with negatives. When you run across them in your photo collection, they probably won’t spark any joy; they’re difficult to view without a negative viewer, the images are small, and the negatives themselves are hard to handle—thin, awkwardly curved, slippery. You might be tempted to throw them straightaway. But wait. These negatives are a backup to your printed photos and can be saved in case of damage to the original prints. The most important thing to do with negatives: Store them separate from your prints. If something tragic were to happen to those prints (think: house fire or water pipe break), the negatives could be used to recreate the print if they are stored somewhere else. Consider your negatives an insurance policy on your photos; insurance doesn’t usually spark joy either, but it’s nice to have in case of an emergency. If you’re sorting through a mountain of family photos and come across a bunch of negatives, set them aside. The plastic sleeves in which some negatives come from the processor are likely photo-safe plastic (i.e., polyethylene) so it’s fine to keep them in those sleeves or — if the negatives are loose — the original photo envelope. Negatives don’t have to be sorted and edited as meticulously as a print collection unless or until it becomes necessary, as in the case of one of the aforementioned tragedies. Store your negatives in the same way you would store your prints. Use photo-safe materials, and keep them in a cool, dry place (i.e., not the basement or attic) or better yet, the house of a good friend or relative. If you handle your negatives in this manner, you’ll spark the joy of knowing you’ve mitigated risk without having to invest a lot of time going through every last negative strip and you’ll have tidied up your photo collection. Sweet. It’s that time of year again when people vow to exercise more, spend less and do something about their photos. I’ve heard and seen a number of different photo-related resolutions this year. Scrapbookers are committing to using up the supplies they’ve already invested in before buying more. Cell phone users are promising to streamline all the images on their camera roll. Digital image fans are thinking about making some physical prints. Yup, me too. I’m a photo organizer, and even photo organizers sometimes let their collection of photos get away from them. I committed to sorting through every folder on my computer hard drive to get rid of the junk. A lot of my folders are filled with boring Word docs and PDF files, but there’s that one folder that means the most and needs a little love: My Pictures file. I began my purge-and-backup project there. I’m one of those unique cell phone camera users who doesn’t use her phone for storage. I move all the pictures I take off my phone to my desktop computer every week or two. I don’t just copy them, I move them over and delete the ones on my phone. First of all, I hate showing people pictures on my tiny screen. The truth is, people will take your phone and look at your pictures politely, but they don’t really get anything out of the exercise other than to acknowledge how much you care about the pictures. And second of all, I hate paying for iCloud storage for a bunch of pictures I don’t particularly care about, and the truth about your phone pictures is that about 90 percent of them are junk. Protest if you must, but I’m just being honest here. If you’re truly a good photographer, you’re not using your cell phone to take pictures. And even a good photographer needs a good editor. I started at the top level, and I’m looking at every photo in one folder before moving on to the next. I’m committed to doing one folder a day so I don’t get overwhelmed (I’ve already gone through 20 folders in four days, so I’m ahead of the game!). Keep notes so you remember where to begin again when you get back to sorting. I look at most of the photos in “Extra Large Icons” size, but sometimes I open up a photo to screen size and page through them that way. If you just move folders around, you’re not doing yourself any favors. You need to look at the pictures to determine if they’re worth keeping. With digital images, it’s fairly simple to sort photos in chronological order. Just list by “details” and move blocks of photos to folders listed by year or month (if you use months, name them with the year first so they list chronologically, i.e. 2018.01 for January 2018). Think about how you might look for photos later. For example, in my Family Photos folder, I have folders of photos for 2011, 2012, 2013, 2014, 2015, 2016, 2017 and 2018. I also have folders for each of my stepchildren, my new granddaughter and my dog (and a couple of others). Where to put photos of my stepson’s graduation, for example? I decided to leave them in the appropriate year’s folder inside another folder named “Caswell’s High School Graduation.” That way, if I forget which folder they’re in, I could do a search for “Caswell” or “graduation” and find them again. Pictures of food (for some reason, I take a lot of pictures of food; there’s probably a psychological reason for this, but I’ll save that for a therapist). You might be obsessed with something else that no longer holds meaning to you like bouquets of flowers, birthday cakes or interesting cars you see on the street. Pictures of people with their eyes closed (especially me). I encourage people to get rid of at least some of the pictures of sunsets (we tend to take a lot of these), but I gave myself a pass on this. I got rid of at least two folders of photos that were exact duplicates. I never would have noticed this without looking at every image. Take advantage of your intuition as you sort. Right away, I could see I had a lot of pictures of food that I no longer needed or cared about. I deleted without inspecting them. You might feel that way about 10-year-old vacation pictures or landscape pictures or pictures of a finished work project. Dump them. But for some other photos might need more care and attention (we took an epic trip to Croatia three years ago–I’m not ready to delete any of these yet and they probably should be turned into an album at some point). Give yourself permission to go back through those at a later date, when you’re done with the initial sort. At that point, you will have seen your entire collection of photos and you’ll be better informed to prioritize your next steps. I use Carbonite to back up the files on my computer automatically. Once I’m finished sorting, I’ll be moving the oldest photos to both an external hard drive and thumb drives. If you lost someone recently, don’t start with those photos. It’s just too hard to delete those images and it might even be difficult just to look at them. My dog died last February, and it’s taken until now for me to be able to look at those pictures without crying. And even now, I could hardly delete any of them, even the blurry ones. But every image I have of my dog is now in one single folder. I’m pondering my next move. I want to print some of the pictures. I may create a storybook for my granddaughter using the images, but I’m also thinking about creating some sort of framed picture or pictures. Whatever I decide, I share it here. Do you have more tips? Share them in the comments. Good luck achieving your photo resolutions in 2019! It’s the most wonderful time of the year … to turn your photos into gifts. 2018 events into Christmas cards: I think of my Christmas cards as little gifts to my friends. I try to make them lovely to hold with nice paper and interesting to read with the KISS principle (keep it simple, sister, no need to write two pages in the age of social media–if they really care that much, they already know). I did my Christmas cards this year with pictures of weddings and graduations at Minted, which promotes itself as offering “fresh designs from independent designers.” Their interface is fairly simple to use, and I also was able to order pre-addressed envelopes, saving me lots of hand cramps. Snapshots into calendars: In the past, I’ve created custom calendars for my mother-in-law (maybe this year, too, if I get my act together). It’s a great way to show off pictures of the grandkids (and now great-granddaughter) in a printed format. With quality cell phone images, I can print them nice and big so she can actually see the detail she misses on a tiny phone screen. I can even snag images from text conversations, meaning I don’t always have to depend on my own photography. Anyone who prints photos nowadays does calendars, too. Come prepared to your project with a list of relevant birthdays and anniversaries because many vendors can print those, too, in a calendar. Facebook image into luggage tag: Did you know you can download images from your friends’ Facebook timelines? Well, you can. And I did. My friend posted the world’s cutest image of her dogs, and I turned it into a luggage tag for her at Shutterfly. I added the phrase, “There’s no place like home,” which is perfect for a world traveler, I think. I didn’t even have to wrap it. Shutterfly shipped it right to her door for me. Family photos into fishing lures: My 15-year-old nephew is an angler extraordinaire, so I’m having the local copy shop turn pictures of his brothers into fishing lures. What teen wouldn’t want to turn his brothers into bait? Picture into puzzle: I’m having the same local copy shop turn an image of my stepson and his girlfriend into a heart-shaped puzzle. How adorable is that? If you’re not so great at technology, consider visiting your local photo or print shop for help. No need to know the difference between jpegs and pngs or uploading and downloading. The store that usually prints boring paperwork for me (saving me hours of frustration with my inkjet printer and dozens of print cartridges) also does all kinds of photo gifts including Nos. 4 and 5. I emailed my images to them, but I am sure I could have walked in there with my phone and they could have secured the image for me and turned it into a gift. Good luck and get going! Time’s a-wasting! If you attended a family reunion this summer, you probably saw one those family history documents—a sheaf of 8-and-a-half-by-11 typewritten documents with a lot of birth dates and wedding dates. Maybe it included a few beat-up newspaper clippings documenting the obituaries of your ancestors. Maybe you picked up it, paged through it looking for your mother’s name or your grandparents wedding date (to compare to the birth date of their first child? You minx, you), but then you spied the whipped-cream covered strawberry pie your aunt brought to the potluck, and that tired old family tree was history in your mind. Literally and figuratively. Makes you want to read on, doesn’t it? That’s the way to tell a story of family history. My husband’s uncle, Allen Leroy Blair, pulled together a few photos, a pile of dry military documents and the contents of a “crusty, old, brown wallet” to tell a compelling story of his uncle who died a sudden death at the age of only 23. Very few family members had even met Duane, let alone knew anything about him. Uncle Al asked me to look at the writing, and I was blown away. It wasn’t the dry retelling of who begat whom. Instead, it was the story of Duane’s short life and the story of Allen’s discovery. How Uncle Al tracked down’s Duane’s military records. How he came to be the owner of Duane’s wallet, unopened since the day he died. How he came to write it all down for posterity. His writing reminded me a little of John Muir, the great 19th century naturalist, who could write about a tree or mountain in such a detailed and exciting way that it inspires people still today to visit a sequoia tree or climb a mountain. Contagious enthusiasm! A single professional printed copy of Duane’s life story costs only a few dollars (almost less than it costs to print at the copy shop) and it can be shipped anywhere in the United States. Uncle Al plans to have several copies available for signing at the Blair family reunion this fall. Plus, now Duane’s story is available not just for the Blair family to digest but for the whole country to read because it’s for sale on Amazon. And for family historians who know him or not, Duane Reuben Blair’s story is an excellent example of how to turn dry genealogical documents into compelling reading. If you’re interested in seeing more, check out the book here. Be sure to “Look inside” and “Flip to back” to help you imagine how amazing your family story might look in book form. And start planning your own book signing at the next family reunion. Before Clickago Storywerks, Monica Lee was The Percussionist’s Wife, the story of a marriage that crumbles when a drum line instructor is caught with one of his students. 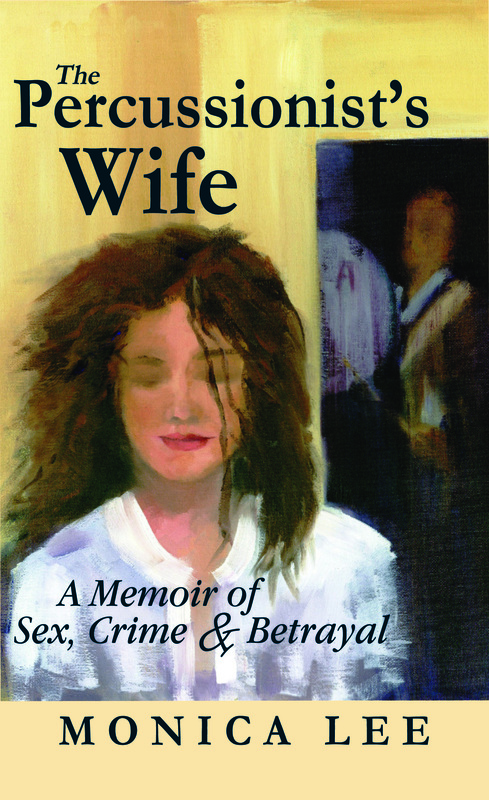 I tell the whole story–every sordid detail–in my memoir, which I published five years ago this week. To celebrate the milestone, the Kindle version of the book is free this week. Fans of memoir and true crime might agree with reviewers who’ve called it “remarkable,” “candid” and “compelling,” and more than one “couldn’t put it down”; “it reads like a thriller!” See for yourself. Download it here for free until midnight Friday. But this post isn’t about germs. It’s about the photos on your phone that seem to multiply like bacteria. Do you have thousands of photos on your cell phone? Are you paying monthly fees to back up your phone photos even though you never look at the backup and have no idea what photos are being stored? Do you struggle to find a particular photo on your phone when you want to show someone? Well, this post is for you. It’s time to clean up your photo routine. No rubber gloves necessary. Here are four tips for better phone photo hygiene. Just because you took the picture doesn’t mean you need to keep it. We are no longer living in the film age where we got double prints of every camera click. You need to go through your digital images periodically and click the trash can icon at least half as many times as you clicked the “take picture” button. Face it: Most digital images are junk. You tried different lighting, or you turned your phone sideways, or you took a close up, or you snapped a shot of an item you wanted to buy (and now you’ve purchased it), or you just accidentally took extra pictures. Delete the ones that don’t matter. Yes, right now. Or at least take a few minutes at regular intervals (the first of every month or every Sunday night or while you’re waiting for your hair stylist/doctor/oil change) to delete mercilessly. Backup the photos on your phone either with a cloud service or by saving to your computer or thumb drive. If you’re not sure how to save photos to your computer, check how this post on how to find your DCIM and move photos from your phone to your computer. After backing up your photos, consider deleting them off your phone. Blasphemy? OK, you don’t have to delete all of them (though I do because I absolutely hate showing people photos on my tiny phone screen), but you can delete older ones and ones you no longer want to show other people. If you have photos on your phone you want to show off, check out this next tip. Click on the Photos icon. Click on “Albums” on the bottom right. Click the + sign in the top left. Name your new album (i.e., “Kids,” “New House,” “Biggest Fish”). Click save. Now tap the photos you want to save in that album. Scroll up and down to see all you have on your phone. Click Done in the top right. Now when you want to show someone these particular photos, click the Photos icon, then Albums and find the one you want. Voila. Many photo print shops offer apps just for this purpose including SnapFish, Shutterfly, CVS and Walgreens (search “print photos” in the App store). To make this work, you actually have to use the app and print some photos. In many cases, you can print items other than simply photographs, like photo books and other tchotchkes. Listen, if the photo was important enough to take and save, then it might be worth printing and enjoying in real life inside of only virtually. There, now your phone is lighter, at least in terms of memory use, and you can better enjoy the photos you’ve decided to keep. Nice work. Now you can clean up the germy parts. An entire wall at the Columbia River Gorge Interpretive Center Museum near Stevenson, Washington, features family photos of residents of the area. The grand building on the Columbia River is filled with historical information about the residents through time. Why include family photos along side artifacts of the area’s Native Americans, historical images of Mount St. Helens, interesting tidbits about the Oregon Trail and facts about the historic visit by explorers Lewis and Clark? Because “regular” people are part of the fabric of history, too. I fell in love with this image of the Bevans-Moore family from 1936. Why? I appreciated the symmetry of the composition, I suppose, with the kids and grandkids surrounding the matriarch. But I really loved the smiles. Sometimes historic photos lack personality, but this one has tons. After reading about the sorrows on the Oregon Trail and the calamity of Mount St. Helens’ eruption in 1980 (compelling, sure, but not exactly uplifting), the Bevans and Moores made me smile. It reminded me of why people live in Stevenson, Washington. What can the “regular” family historian learn from this photo? If it had not been labeled with name, date and location, it probably would not have been added to the interpretive center’s collection. So if you aspire to add a photograph of your family to the local historical society’s archives, take the time to label your photos with basic information. How? First of all, if it’s a digital image, print it out. Someone might display your digital image in some high-tech museum, but I wouldn’t count on it. Use a No. 2 pencil or photo-safe pencil on the back (so you don’t indent the photo), or write the details in the margin on the front with a photo-safe pen. Or preserve the photo in a photo sleeve, and write the details on the sleeve. Now, someday when a museum curator runs across your photo, your family can be a part of documented history, too. If Facebook is good for anything (and this could be argued either way), it’s good for reminding a blogger of her previous brilliance. Today I was reminded of this piece in my “memories on this day,” penned three years ago, and I thought it might be appropriate here. Enjoy. The end of paper is coming, and even the dinosaurs have to admit it. I was a denier for a long time. My argument was that as long as we have hands and eyes, we’ll have paper. The tactile appeal would overwhelm the power of the computer, I maintained adamantly. Then came along the iPad. No longer do I have to sit in front of my computer. I can bring my iPad anywhere and read it in any position. Tablets are getting slimmer, and it won’t be long until they’re as light and versatile as, well, as a piece of paper. For an interview earlier this week, my potential client requested I bring my portfolio. “Portfolio”? Huh? I haven’t had a portfolio for 20 years. I pulled all the news stories I wrote while working at my college newspaper out of the binder I used to get my first and second jobs and then refilled the binder with printouts of blog posts and e-newsletters I’ve created. I put a paper version of my resume (how positively ancient) in the front. I used to write in my diary. Now I write blog posts. Memos are now emails. Love notes have been replaced by text messages. Insurance forms are PDFs. Cookbooks have been replaced by Google. Even dollar bills and checks are so yesterday, unceremoniously replaced by plastic. It’s weird, frankly, to be a paperphile in this strange new world. I literally have made my living in paper. I used to work for newspapers. Now I read my newspaper on my iPad. I once worked for a scrapbooking company. Now no one prints out their photos anymore. I write books (and I love my bookshelves of paperbacks). But now I write ebooks, too. I’m still making my living on paper: Among other feats of wonder, I organize people’s old printed photographs in boxes. But I do this so people can scan those photos to save and share them digitally. I think writers and editors will be around for the foreseeable future. But I’m not sure. Facebook, for one example, does a pretty good job of culling all the news of interest to me and presenting it on my personalized Newsfeed. What will I do with all my manila folders? My shelves of photo albums? My backache from lugging books everywhere I go? What a brave, new world. Monica Lee is a storyteller at heart. She was a newspaper reporter, headline writer, executive with a worldwide scrapbooking company and communications director with a food company dedicated to bringing families around the dinner table to share their stories. Now she is an author and the principle with Clickago Storywerks. She can help tell your stories, too. If you're overwhelmed with your collection of family photos or have a particular personal story you want to tell, I can help. As a certified photo organizer with a lifetime of writing experience, I can help you sort your digital or printed images, create a photo book and write your story in a variety of formats -- photo captions, book or blog. See my Services under the tab above. Contact me at mindfulmonica@yahoo.com to help you sort it out. Monica Lee is a dynamic speaker with a variety of prepared topics to present at events large to small. For details, click on the "Events" tab above. A combination health-and-fitness memoir and step-by-step plan for women in their 40s battling perimenopause. Monica Lee's first book is a memoir of marriage that falls apart.